The recently refreshed Courtyard Boston Natick hotel has the tools and amenities you need to help you thrive during your next visit to the Boston Natick area. Our hotel offers free high-speed internet, comfortable work spaces, business center and meeting rooms with intuitive design and dynamic spaces. During downtime, unwind with a workout at our fitness center, grab a cup of coffee at the on-site Starbucks coffee cart or grab a drink and some seasonal fare at The Bistro. At the end of a long day, kick up your feet in your spacious hotel room featuring pillowtop bedding, triple sheets and plush pillows for a restful nights sleep. Explore the area with ease, as we are centrally located 22 miles from the Boston Logan International Airport (BOS) and 20 miles from downtown Boston. 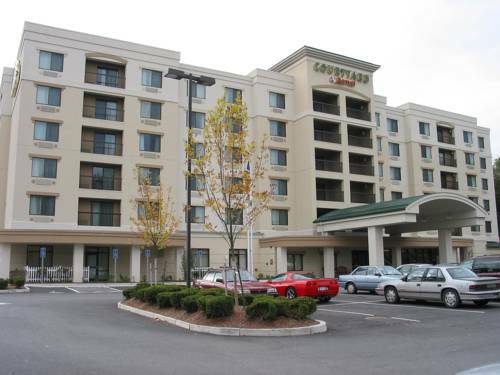 Close to Wellesley College, Babson College, Harvard University, Boston College, and near downtown Boston, the Courtyard Boston Natick is near your favorite, local destinations.